Can you wield the Dark Force? Thank you for your interest in the Dark Force HUD from Random Labs! The Dark Force HUD instils the wearer with telekinetic abilities unlike any other device in SL. Avatars, physical objects and even vehicles become your play things as you wield your power over them. Moving, throwing, launching, spinning, orbiting, slamming them into the ground... you are in control and the power feels good! Unlike other telekinetic devices in SL the Dark Force HUD does not rely on llPushObject, meaning it works in no-push areas and you don't have the power limits like normal telekinetic huds that limit the object size and distance over which it can be moved. Even very large objects bend to your will over any distance within a region! You can control 2 objects at once, one with each hand, either in mouselook or in the default 3rd person view with separate controls for each hand! Your arms track the objects as they move to add to the realism. Quite often you can move held objects straight through other solid objects! This can be quite useful, for example, during testing I was able to remove a trapped avatar from a physical cage. I held the cage with one hand, preventing it from orbiting him, then held the avatar with the other hand and pulled the two apart! v2 brings powerful mouselook lightning streams to the Dark Force HUD using the included "Force Lightning" devices. You can still hold 1 object when using mouselook lightning, and the lightning stream will emanate from which ever hand is free. Lightning Stream - Click and hold the left mouse button to fire a stream of lightning for up to 50 meters ahead of you. Double clicking the mouse will also fire the stream for a single quick shot. Lightning Strikes - For lightning strikes, aim at an object or avatar (up to 100 meters away) and single left click your mouse. A moment later lightning will strike, scorching and setting fire to the ground. Lightning Rage - Aim the stream straight up for a few seconds to create multiple lightning strikes around your avatar. When the stream hits a non-physical surface it will scorch it and you will see scorch marks and smoke. If you aim the stream at one place for a few moments it will catch fire. To keep the fire going, move the stream slowly... too fast and it will only scorch it. When the stream hits a physical object, avatar or vehicle, it should send it flying. For the best results against avatars, aim for the head! You also get powerful energy blasts, spikes and massive bolts of lightning to play with, plus one of the most advanced Non-Physical Vehicles in SL for your protection from physical attacks. 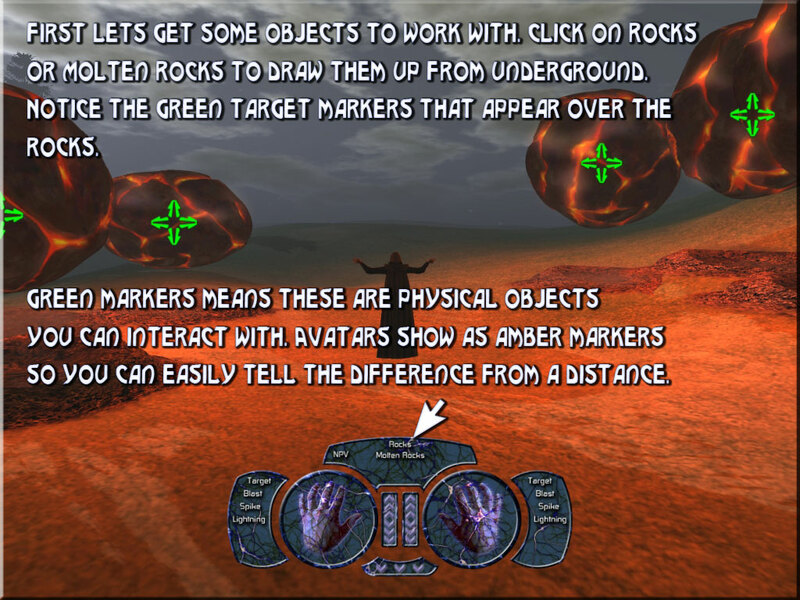 • The HUD can lift physical, non-phantom objects - A moving object may not always be physical! • Just like most things in SL this hud will only work in build and script enabled areas! • The hud will include free updates and checks each time you log in. • Please take a look at the instructional slideshow to know all the features! http://www.randomlabs.co.uk/Dark-Force-Hud-Info or click 'View More Images' above. To get started, simply wear the HUD and the 2 "Force Lightning" devices, then visit http://www.randomlabs.co.uk/Dark-Force-Hud-Info and view the instructional slideshow. This HUD is primarily designed for RP magic and generally looking awesome in front of your friends. Please always follow the SL TOS when using this HUD, I hold no responsibility should you get into trouble for doing things you knew full well you should not have been doing! I also reserve the right to disable your HUD should SL TOS be flagrantly ignored, and to disable its use temporarily or permanently in certain regions should the need arise.